When someone NEEDS a homemade cupcake, I bake it. Even if that someone-who-needs-it is me. This weekend seemed like it was over before it started, and by Sunday I was so wiped out that I just needed a few minutes of peace and a cupcake. So I made AWESOME chocolate cupcakes. If you are going to have a cupcake have an incredible cupcake, right? And where do incredible cupcakes come from? Robots, that’s where. Preheat oven to 350 degrees. Line standard muffin tins with paper liners; set aside. 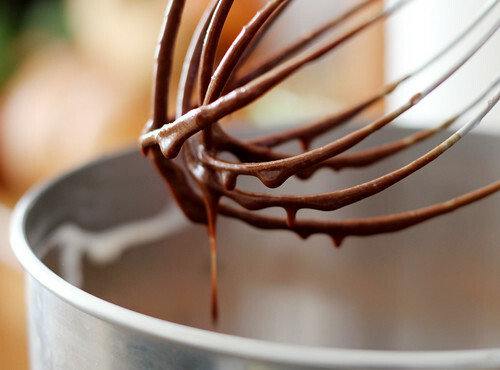 Sift together cocoa powder, flour, sugar, baking soda, baking powder, and salt into a large bowl. Add eggs, warm water, Greek yogurt (or buttermilk), oil, and vanilla, and mix until smooth, about 3 minutes. Scrape down the sides and bottom of bowl to assure batter is well mixed. The cupcakes came out PERFECTLY. They were moist, rich, and oh so tasty. 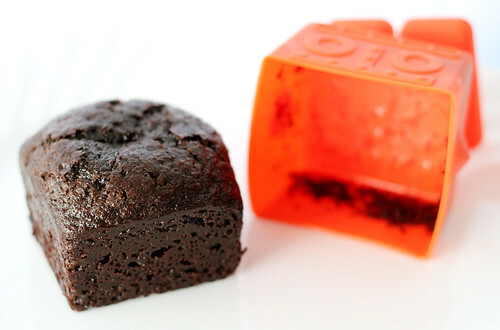 And the sweet little vacant stares of the Yumbot cupcake molds put a big smile on my face. 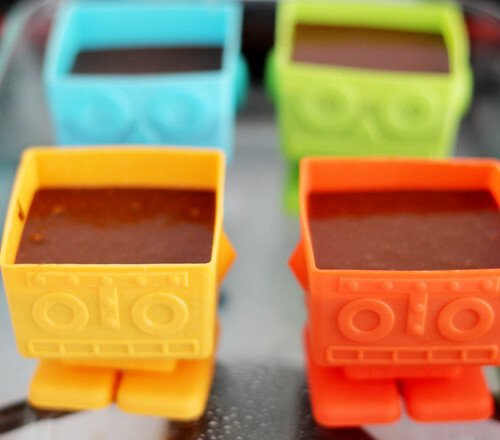 The Fred & Friends Yumbot Robot Cupcake Molds brought an element of whimsy to the already delicious chocolate cupcake recipe. They were the ultimate compliment to each other. 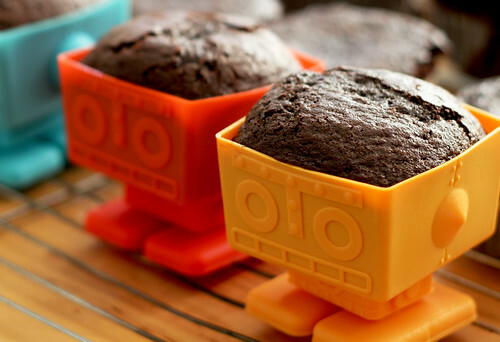 I highly recommend the recipe above, and would suggest these robot cupcake molds, and more Martha Stewart cupcake recipes for your favorite baker. Happy baking- and happy eating!! 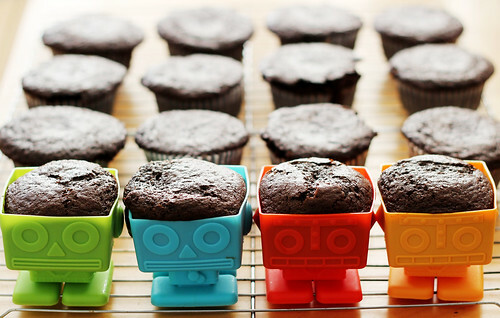 So yummy yet so mathematical and strategical – I LOVE ROBOT CUPCAKES!! I got these for Christmas too! They are on my list of “blogs to be written”… you clearly beat me to eat. They look great! OMG!!! I seriously meant to type… “you clearly beat me to IT” and instead I put “to EAT”… ahhahhaha. I guess you know what is on my mind! CAROLINE. Mathematically speaking, you would freak out about how good these are! Melissa- Ha!! I TOTALLY know what you mean, but I love the Freudian slip. “Beat me to eat” = classic Enjoy your cute robots! This look so yummy! I love the robot molder of yours. My kids will love this and enjoy when we make these cupcakes. This is so amazing! I can’t wait to try this for my kids snacks every afternoon. 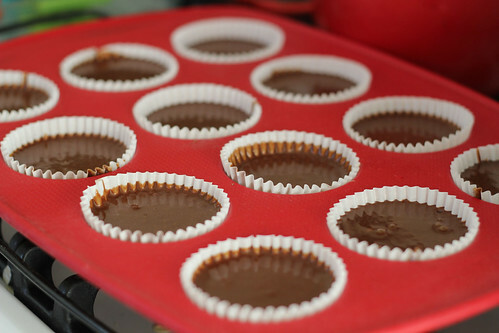 Cream cheese frosting will be a perfect match for these cupcakes.